Merry and Bright! : CD Review: "A Winter Gathering"
CD Review: "A Winter Gathering"
There are many sub-genres within the Christmas Music canon: orchestral, kiddie, crooner, rock, pop vocal, pop instrumental, and so on. Listeners have their favorite styles, and preferred times and places to listen to a particular selection. With "A Winter Gathering", Shauna Burns has risen to the top of the "Mystical" Christmas music genre, and indeed may be a bona fide pioneer. 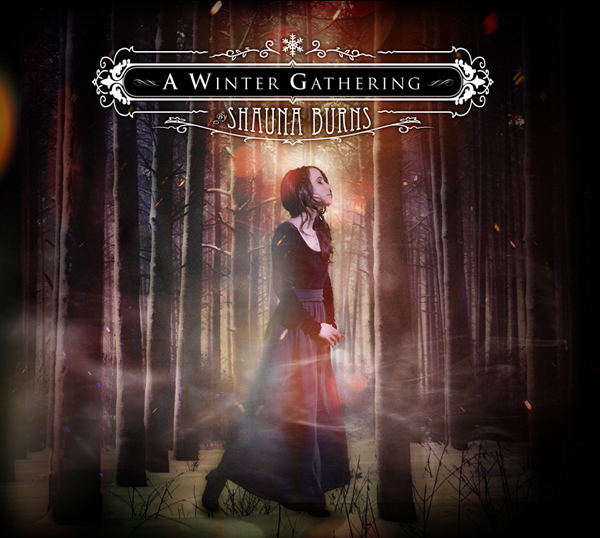 "A Winter Gathering" is a nearly flawless, beautiful listening experience. 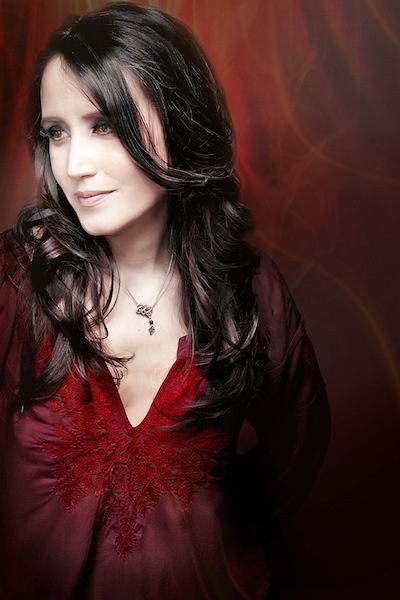 Ms. Burns performances on vocal and piano define the mood from the opening "Winter Star" through the album's closing piece, an instrumental version of "God Rest Ye Merry, Gentlemen". She is joined by musicians on percussion, Celtic Harp, Cello, and even Penny Whistle and Uilleann Pipes. Together, the cast of artists complete the vision of a mystical, magical Winter's night. What is most striking is the song selection and sequencing. Ms. Burns' songs form a journey through a night, following a star. In her hands, "White Christmas" becomes not a reminiscence but a hope for the future. 'What a Wonderful World" is a capstone message of joy following "The Gathering". Perhaps a gathering at a stable some 2000 years ago? These songs take on new meaning in this setting, different than their traditional secular place in the world of Christmas music. "Silent Night", one of the most challenging songs for an artist to capture and make their own, is another highlight. Ms. Burns performance is one of ethereal beauty, and truly striking. Preceding and paired with "The First Noel", these songs provide a climax to the album, followed by the four-song denouement to bring the record to a close. I have to give a nod to the production. Shauna Burns and James Clark, with Sean O'Dwyer, have given us a gem for the Christmas season. Without the vision and drive of the producers, an artist's work will not reach its potential. Not the case here - kudos to the producers. I highly recommend "A Winter Gathering". Once your Christmas tree is up, turn off the house lights and let the Christmas tree lights softly illuminate the room, queue up this abum, and enjoy it in the quiet solitude of a Christmas evening. For me, that describes the time and place for this amazing record. "A Winter Gathering" was sent to me as a promotional CD from Red Rock Music/Miles High Productions. CD Review: "Pretend It's Christmas"